This green, brick house, at the corner of Taylor and Fifth Streets, was built by Shelby H. Curlee. The house was originally located on the property that is now occupied by the James E. Creary House. 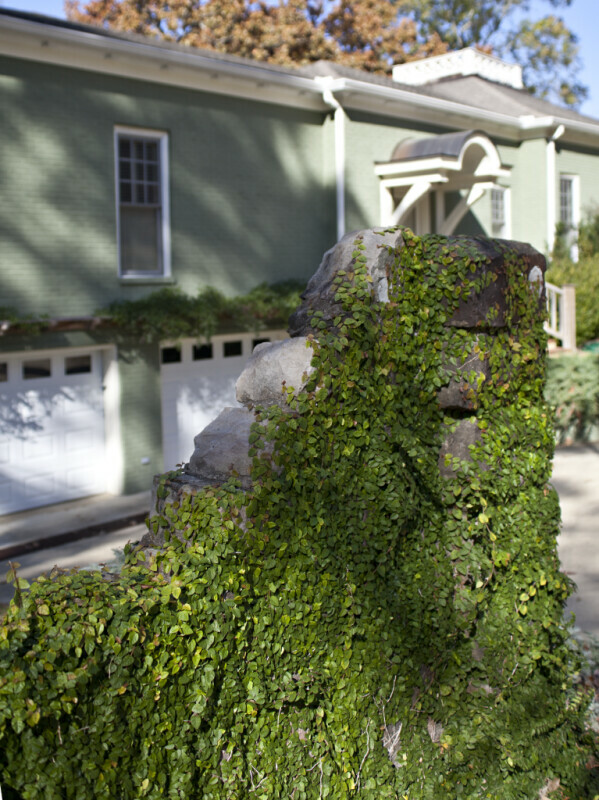 This picture provides a view of a vine-covered pile of rocks near the house.